Reduce frustration, and get yourself ready in less time. This high quality head band will pick your hair up, and hold it neatly out of your way so that it doesn't cause problems. It works with short or long hair, and makes face washing, makeup application and spa treatments easier to handle. Instead of your hair falling and getting wet as you wash it at night, it will remain pinned back and out of the sink. When putting on makeup in the morning, your hair won't block your view, or get coated with cosmetics, so you will spend fewer minutes getting ready, and will leave the house more confident due to better results. When applying a facial or other treatment, this head band will hold your locks out of the goop for as long as you leave it on. It's a simple device that is constructed from superior materials, and once you own one, you will wonder how you ever got along without it. Just slip it on and it will hold firm as you accomplish your task with ease and speed. 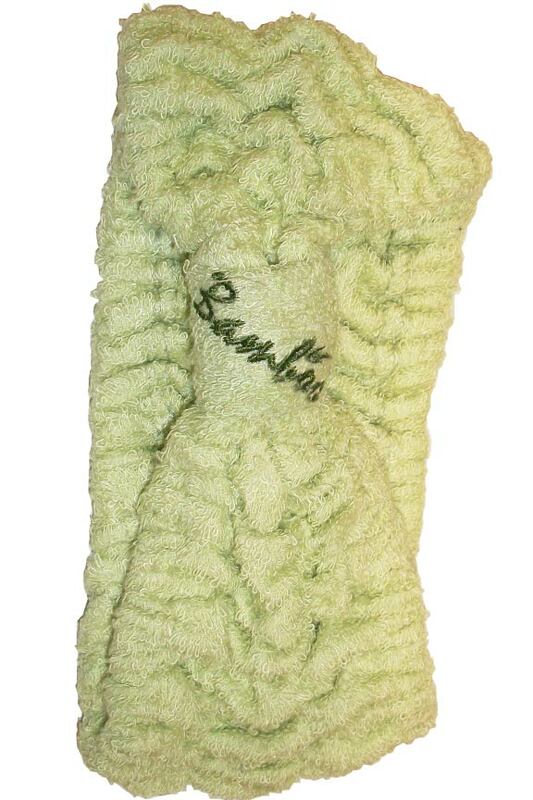 Super absorbent bamboo fibers protect from moisture, and the soft finish, and gently snug hold, prevent an already finished do from being wrecked. Super absorbent, ultra soft, and high quality. Provides a secure grip without being too tight. Goes on and off easily. Saves you time and frustrations. Improves results, and eliminates problems. Natural bamboo construction makes it work well for what it is designed to do, but it also makes it very Earth friendly in the process. Bamboo is highly regarded as a valuable renewable resource, and when processed to form a fabric, it's both soft and absorbent. Because it's actually a grass, when harvested, the plant will grow back quickly, and the root system is never disturbed, so erosion is avoided. Natural characteristics allow it to be anti-microbial, anti-bacterial and hypo-allergenic, so it's perfect for use in bath products. When it touches your skin, it feels silky smooth and super soft, and when compared to cotton, it will soak up more water, and also dry faster when you're done using it. 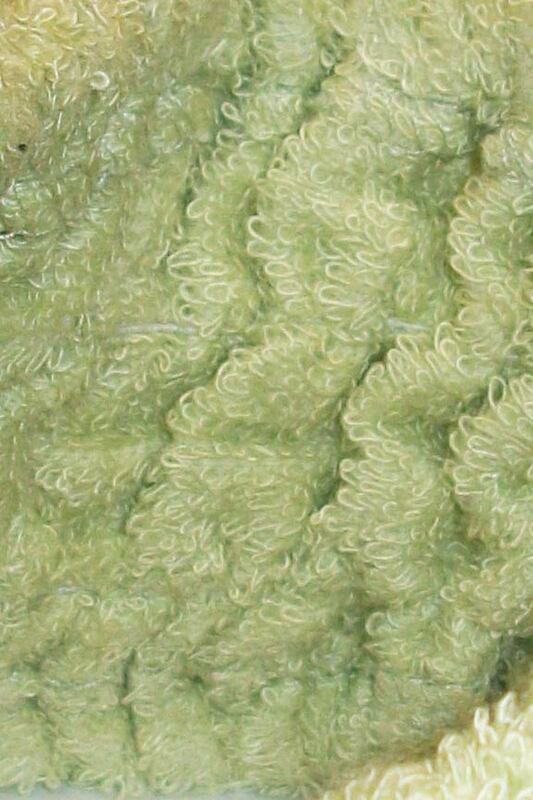 Because it's such a sturdy plant to begin with, the fibers remain durable and long lasting when woven into fabric, so this head band will work, and look like new for many years. Dual elastic bands ensure a snug fit without being too tight, and the overall shape adds to the functionality. This band is fatter in the back, and thinner in the front so it performs well without being overly bulky. The rear of the band can form a pouch to hold shorter hair, or simply wrap around your head to keep longer hair in place. The shaping in the front not only prevents obstruction, it also allows the band to contour around your face better. Because it uses elastic instead of some other type of closure, it is able to expand to fit comfortably on any size head, and you never have to mess around, or worry about your hair snagging as you try to put it on or off. When compared to other, similar products, this one will be more comfortable, easier to use, and more effective and long lasting. Stop getting annoyed by falling strands as you wash or apply makeup to your face. Save yourself time, and make frustrating tasks easier. This band will act like a third hand to hold back your hair, so you can use your other two hands to get stuff done quickly and easily. Order Yours Today! Dimensions 3.5" tall in the back. 1.5" tall at the front. Expands from 7" diameter to 13" diameter. Uses Keep hair up and out of the way while you put on makeup, wash your face or undergo a spa treatment like a facial. 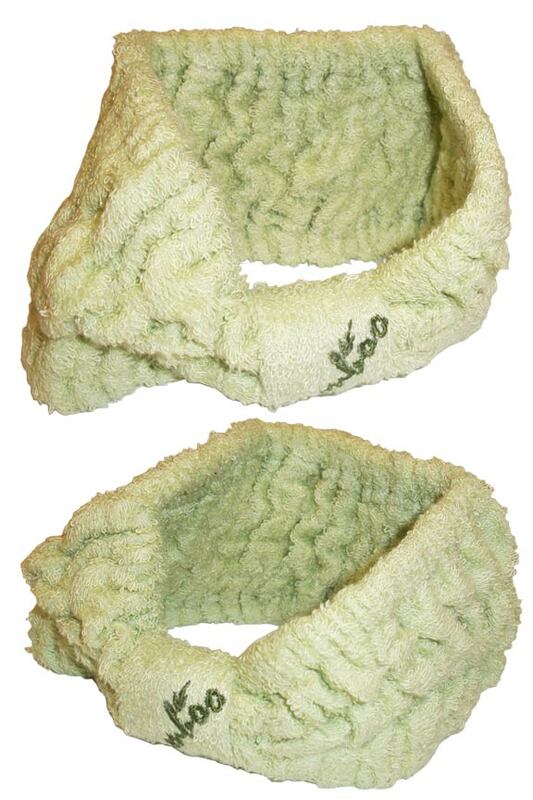 Super soft and super absorbent. Color Random. Ivory, pink and green are available and will ship at random. If you prefer one color over the other, please let us know in the comments box at checkout. Don't wash your hair just to clean your face, and stop worrying about messing up your hair do while getting ready. This high quality band will hold your hair up and out of the way to make face washing and makeup application easy. Order Yours Today! The headbands are OK - I wear them backwards as I only use them to work in the yard and want them for sweat control and not to look good. If you EVER make a plain bamboo sweatband, please, let me know. I love the old ones I purchased years ago but are unable to find them again. I really like this item. It is just what I was looking for and is good quality. I was a little disappointed... the picture showed a green one, which is what I wanted, and i got a white one. Also it is a bit small and too tight on my head. The last one I had was a little larger and looser. 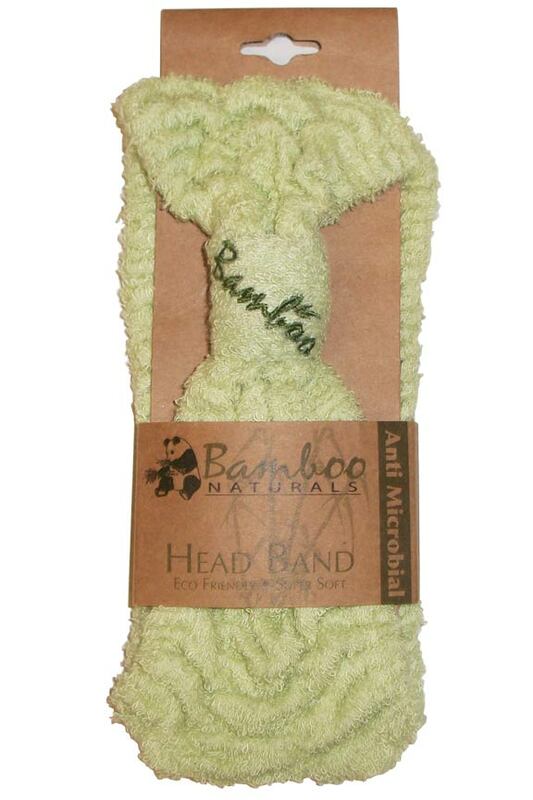 the bamboo head band is amazing! i don't know what i would do without this product. holds my hair back for bath time and washing my face. Can you please tell me if there's any other color choices, other than the one pictured? Yes. Current color selection includes green, beige and pink. If you prefer one over the other, just let us know when you order.